Lionsgate-owned Starz has partnered with Virgin Media to make its Starzplay streaming service available on the Virgin TV platform. Starzplay will be available to Virgin customers for £4.99 per month and is due to launch via the operator on November 29. The subscription video-on-demand offering will feature Starz series like Vida, Sweetbitter and The White Princess. Future Starz Originals, like season two of Counterpart, will launch exclusively on Starzplay on the same day as their US release. The service will also include a library of movies like The Hunger Games. “The partnership with Virgin Media is an exciting next step in the rollout of the Starzplay platform, expanding the audience for our wide range of Starz Originals, TV series and movies exclusively available on Starzplay to a whole new and expansive customer base,” said Chris Albrecht, president and CEO of Starz. 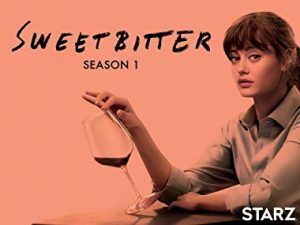 Starzplay is already available on Amazon Prime Video Channels in the UK and Germany, as well as in Canada under the Starz brand. Launches in France, Italy and Spain are planned. Virgin TV customers who add a Starzplay to their package can watch the content via the ‘on-demand’ and ‘box sets’ sections of their Virgin Media home screen.